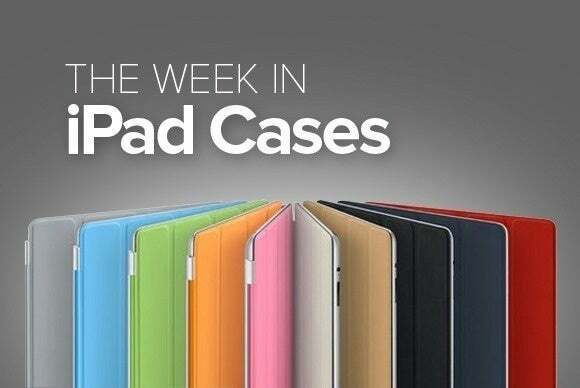 This week’s roundup of new iPad cases also brings you folios from Incase, OtterBox, and Targus, messenger bags from Booq and CaseCrown, a skin from BodyGuardz, and much more. ...plus rugged cases, skins, and more! This week’s roundup of new iPad cases brings you folios from Incase, OtterBox, and Targus, messenger bags from Booq and CaseCrown, a skin from BodyGuardz, and much more. The Armor Carbon Fiber (iPad mini 4; $30) is a skin that you apply to the back of your iPad to prevent damage from scratches and minor drops. Durable and lightweight, the Carbon Fiber sports a textured film to improve your grip, and is easy to install and remove. Available in gray or black, the Shadow (all iPad models; $130) is a shoulder bag with a main compartment for your iPad or laptop and additional room for your iPhone, mouse, and other accessories. The bag features a zippered side pocket, sports a water repellant exterior, and includes a unique serial number to help you retrieve your belongings in the unlucky event that your bag goes missing. The Poly Messenger (all iPad models; $40) features a padded interior with a velcro closure for your iPad and an elastic band closure for extra safety. 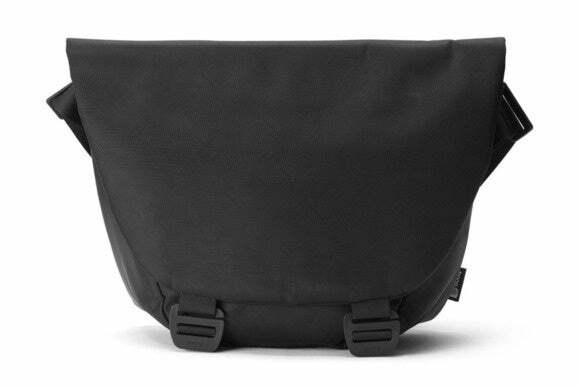 The bag sports an adjustable shoulder strap, multiple interior pockets, and a back slot for quick access to your iPhone whenever you need it. 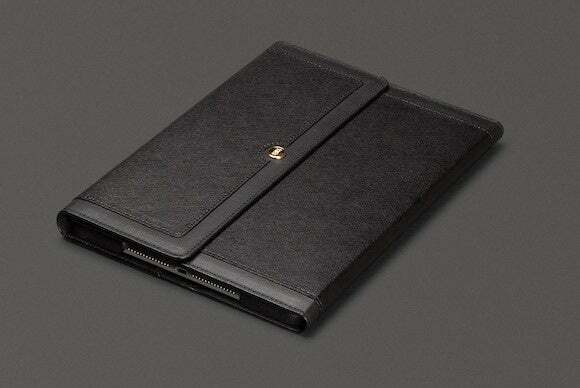 Streamlined and lightweight, the Book Jacket Select (iPad Air 2; $100) comes with a reinforced inner steel frame for maximum protection from everyday accidents. 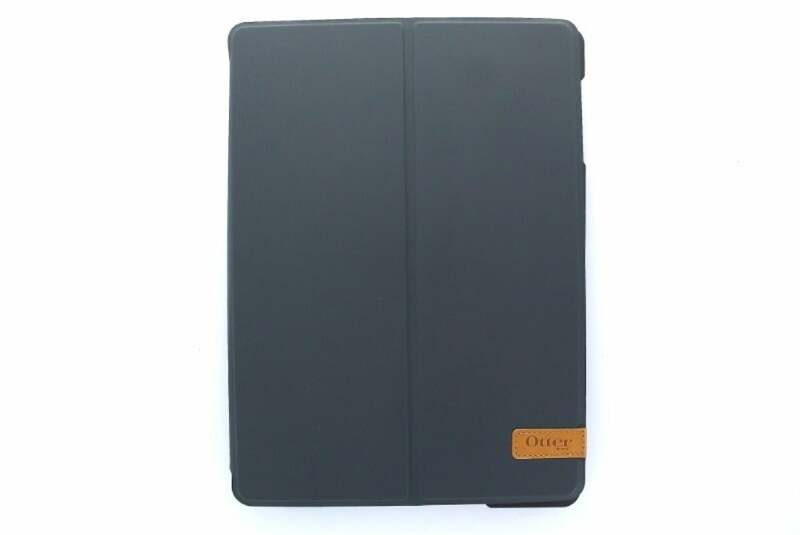 Manufactured with premium synthetic material, the case includes a versatile cover that doubles as a stand in landscape orientation, is compatible with the iPad Air 2’s magnetic/sleep wake feature, and comes in black or brown. 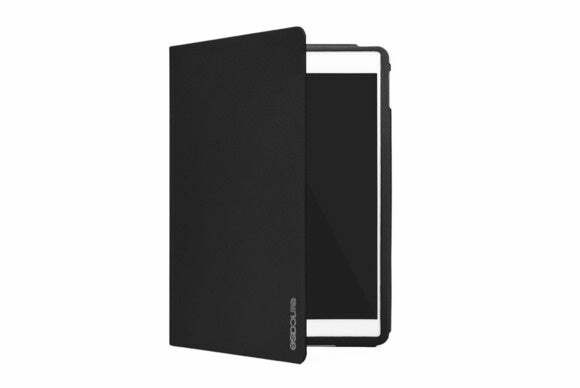 The Agility Folio + Shell (iPad Air 2; $80) sports a folio layout with a protective shell and a cover that keeps your iPad’s screen safe and free from scratches. The case includes a collapsible stand that supports landscape and portrait orientation, and features an enhanced audio channel to redirect sound towards you for maximum playback fidelity. The Ellie Clutch (iPad Air 2; $100) combines saffiano leather paneling with a soft microsuede lining for an elegant protective package. 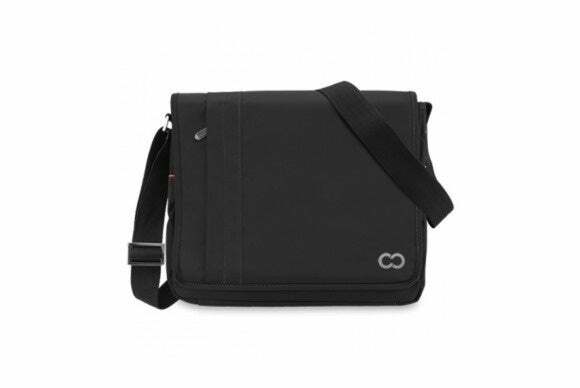 Modern and functional, the case supports typing and viewing angles in both portrait or landscape orientation, includes a multi-purpose pocket for your credit card or photo ID, and sports precise cutouts for the iPad’s ports and buttons. The Ellie Clutch comes with gold hardware and finishes that nicely complement its overall design. The StyleFolio Luxury Edition (iPad mini 4; price unavailable) combines a sturdy hard shell with luxurious textured material for a touch of fashion. 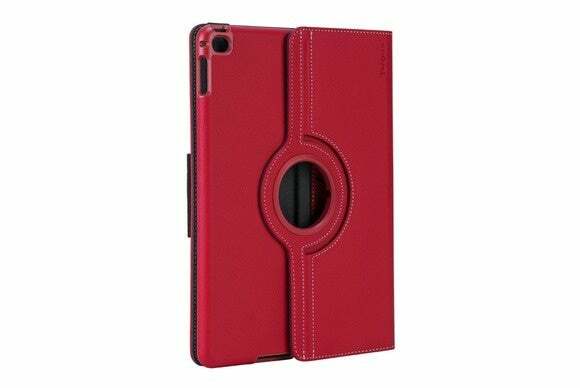 The case is compatible with the iPad mini’s magnetic sleep/wake feature, props up your iPad mini 4 in landscape orientation with support for a variety of viewing angles, and is available in blue, black, brown, or pink. 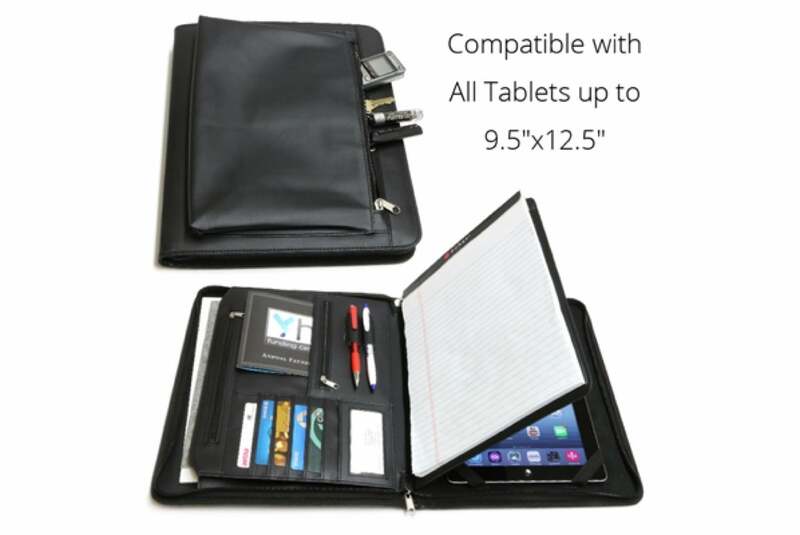 The Business Leather Portfolio (iPad 2, third- and fourth-generation iPad, iPad Air and Air 2, iPad Pro, iPad mini, mini 2, and 3; $49) provides padded protection for your new iPad Pro, as well as extra storage for a notepad, banking and ID cards, and other daily essentials. Made from a high-grade leatherette, the case includes an exterior zippered pouch for bulkier items, an expandable file pocket for standard size documents, and an optional shoulder strap for hands-free carrying. The VersaVu 360° Classic Plus (iPad Air 2; $50) features a rotating stand that lets you switch between portrait and landscape orientation with ease. Manufactured with premium leather, the case features an integrated business card and stylus holder, a see-through opening in the back for your iPad’s Apple logo, and a padded interior that protects your iPad from scratches or smudges. The Classic Plus comes in red, black, or blue.